Join Brown Girl Surf on April 20th in showing our love for the ocean right here in Oakland. We don’t need to leave our community to connect to water, the source of all life. This Earth Day, we will be showing love for Channel Park, where Lake Merritt flows into the estuary before its waters join the Bay and eventually the ocean. 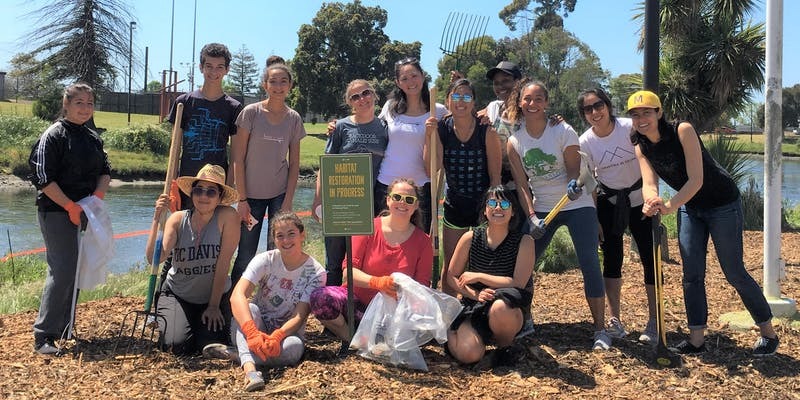 We will be teaming up with the Oakland Museum of California, and the City of Oakland Environmental Services, to lend our hands to the cleanup and restoration of this beautiful area. As with all Brown Girl Surf events, there will be snacks, music, community, and fun. We are meeting at Channel Park, by the Laney College Art Dept between 7th and 10th st (closer to 10th). This event is hosted by Brown Girl Surf, a member organization of Alliance for Girls.